The applicant, Templeview Developments of Luton, is trying to exploit a loophole in national planning policy to put pressure on MK Council to grant consent. This policy requires every local authority to produce a ‘5-year supply’ of plots to help support housing targets. Yet although MK Council (MKC) has given planning permission for a staggering 20,000 new homes in recent years, developers can land-bank these sites and trickle houses onto the market while clamouring for even more consents. If MKC can’t keep up with government diktats for demonstrating this 5-year forecast, which is beyond their control, speculators can threaten them with costly appeals. Xplain has seen residents watch in anger and disbelief as Councillors reluctantly grant planning permission rather than run the risk of an appeal. Even if Templeview gets planning permission to build at Linford Lakes, there is no guarantee a single affordable home will be built – canny developers know how to get round that ‘requirement’ as well. Water voles and barn owls can’t do anything about this threat to their existence – but you can. 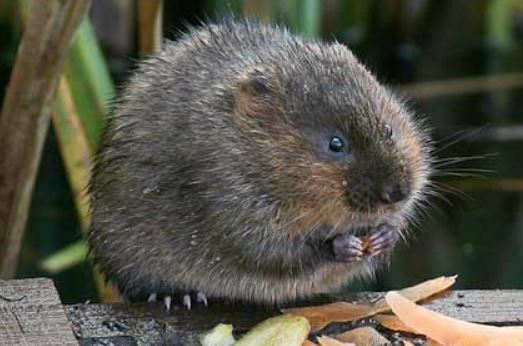 ‘Ratty’, of ‘Wind in the Willows’ fame, is one of the endangered creatures that depend on Linford Lakes for survival. Please send an urgent message to your MP and local ward councillors urging them to stand up for MK, refuse this unsustainable development and reform national planning policy. (See below for notes to help make your case). Mark Lancaster MP (MK North) and Iain Stewart MP (MK South) – this situation will ruin Milton Keynes and needs your urgent attention! 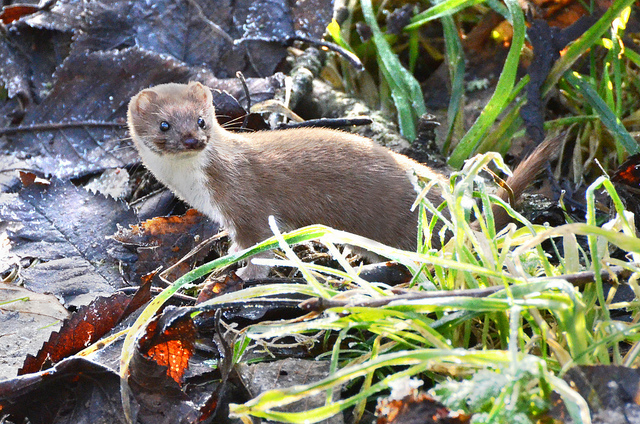 Weasel hunting at Linford Lakes by Tony Bedford. Notes: The Daily Telegraph describes this as a modern-day goldrush. In a recent article, “Inside the murky underbelly of land promotion”, one speculator says, “We normally only target local authorities whose planning is in relative disarray and … either have no up-to-date local plan or, temporarily, they do not have a five-year supply of consented building plots.” This is exactly what’s happening in Milton Keynes. The Royal Society for the Protection of Birds and British Trust for Ornithology are just as convinced as local wildlife groups that building 250 houses on land adjoining this nature reserve will cause irreparable damage to wildlife. 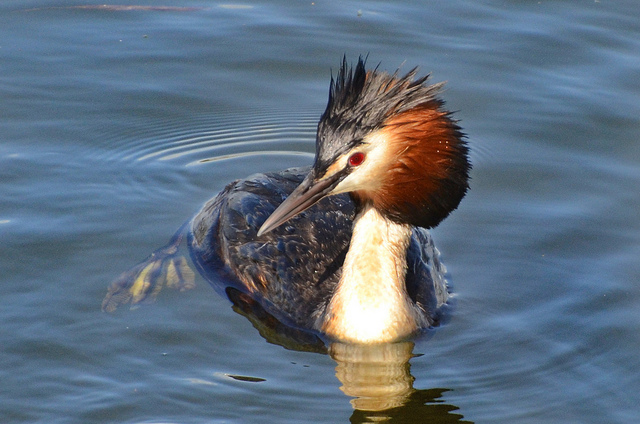 This Nature Reserve is home to some of Britain’s rarest species of mammals and birds. Even the developer’s ecology report admits that the impact will be felt across a 2 km radius from any new housing estate, and “there will be a significant negative effect on bio-diversity at a County level”. Templeview claims they will be able to ‘mitigate’ this harm by extending the nearby linear park. But there is a huge difference between what we have now – a peaceful nature reserve adjoining undisturbed countryside – and a public park running through a housing estate! Plus, there is the impact this opportunistic development will have on existing local services such as schools, medical centres, shops, leisure facilities and roads – all brushed aside by the applicant. The only thing that has changed since MK Council unanimously refused this application in March is that the applicant is challenging the way MK Council is calculating its ‘5-year land supply’. This kind of exploitation must stop – and we look to our political representatives to stop it! …by virtue of its location outside the settlement boundary of Milton Keynes the proposed development would represent an intrusive form of development in the open countryside which is identified as an Area of Attractive Landscape in the Milton Keynes Local Plan 2001-2011 (adopted 2005), which would be detrimental to the open, rural character of the locality. The proposal would result in the loss of a substantial area of varied habitat and appearance and would harm the special landscape character of the area in this regard, providing an urbanised character and appearance to the land. No evidence has been presented to demonstrate that the proposed housing is essential for agriculture, forestry, countryside recreation, and is not considered to be an appropriate form of development in a rural area. The proposal is therefore contrary to Saved Policies S10 (Open Countryside) and S11 (Areas of Attractive Landscape) of the Milton Keynes Local Plan 2001-2011 (adopted 2005), Policy CS9 (Strategy for the Rural Area) of the Core Strategy (adopted 2013), and the aims and objectives of the National Planning Policy Framework 2012.